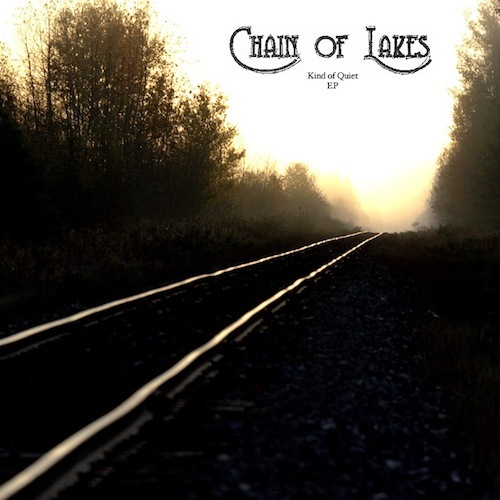 Hailing from Grand Rapids, Michigan, Chain of Lakes is an indie band with just a bit of folk sprinkled in for good measure. Their latest release, Kind of Quiet is a wonderfully mellow and satisfying EP that will keep you company during the sunrise. Kyle and company have done a fantastic job creating music that can slow down time. Breathy vocals and harmonies are paired with clean guitars and simple drums allowing the listener to contemplate life and other musings. The sound comes off genuine, refined, and ready for you to dive in. Grab their album and check out the interview below! TKF: What is your favorite song to perform? K: My favorite song to perform is always my newest song. I definitely will always love performing certain tunes, but there’s a pretty powerful feeling that comes from creating something you’re proud of, and I think that rush is the addiction for me. K: There’s so much great outdoor space near my house… I love getting out and letting the dog run. TKF: Crunchy or Smooth Peanut Butter? K: I just think it’s hilarious that you call creamy peanut butter “smooth”. I’m a crunchy guy. K: We actually just sold out of our first pressing of the new EP, which I’m completely unaccustomed to… I’ll have to find the cash to press some more. I’m busy right now finishing up a full-lenth LP with my friend Yusuke Hama. He’s a beat engineer/electronic musician that has released music under his moniker Hamacide. He’s living in Shanghai, so we’ve never met in person, just learned of each other through mutual friends in New York City. The project is a complete departure from my organic indie folk, but I think that has lent itself to a very interesting product that we’re both super proud of. We’re hoping to be finished around the new year. It’s certainly the most productive I’ve ever been on an 11-hour time delay.